Pennsylvania’s Lincoln Highway Heritage Corridor is once again staging a Lincoln Highway Road Rally this weekend, October 8 and 9. This year’s rally will start in Jennerstown and end at Mister Ed’s Elephant Museum in Orrtanna, 12 miles west of Gettysburg, and includes a mystery! Although registration has ended, you can see the group along the way with its many antique car participants. 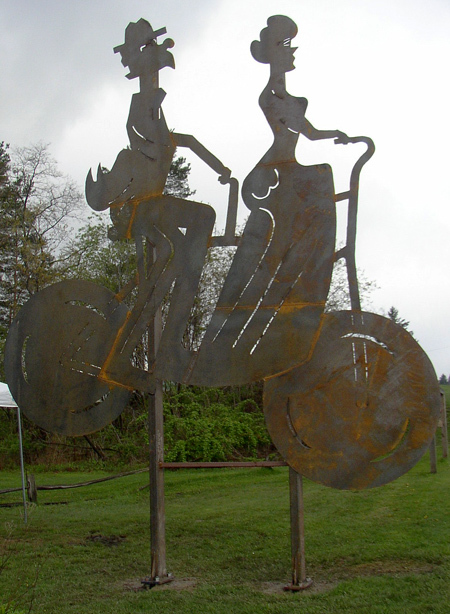 This year’s rally starts 9:30 a.m. with breakfast at the Coal Miner’s Cafe in Jennerstown, then visit the Bicycle Built for Two Roadside Giant, the new Flight 93 Memorial and the former site of the Grandview Ship Hotel. Lunch at the Omni Bedford Springs Resort, then a quilt show and Civil War exhibit at the Bedford County Historical Society. 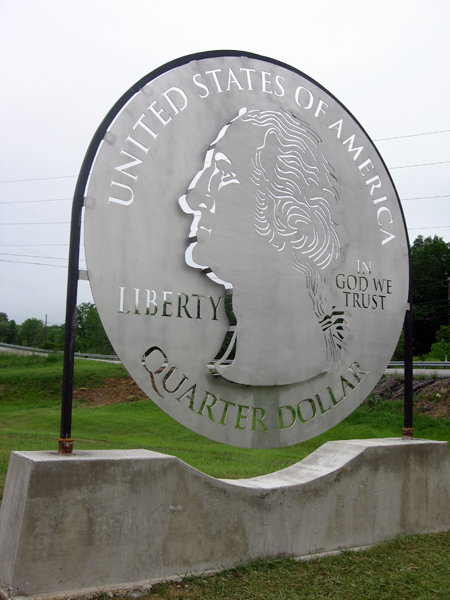 The day will end with a visit to a second Roadside Giant, a giant quarter in Everett. 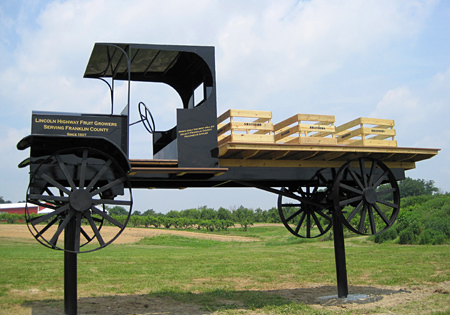 Sunday includes a stop at the 1920 Seldon Truck Roadside Giant and a visit to Chambersburg, tours of the Thaddeus Stevens Blacksmith Shop, and a picnic lunch at Caledonia State Park. The drive will end at Mister Ed’s Elephant Museum about 2:30 p.m. 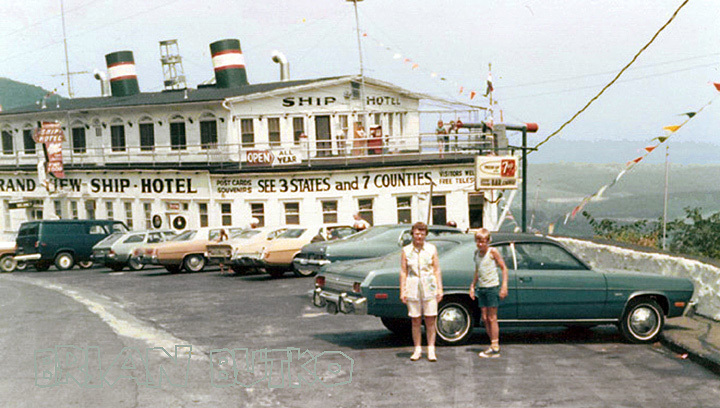 Participants will be asked to help solve the murder of a former naval officer at the S.S. Grand View Ship Hotel west of Bedford. Clues will be posted along the route to help solve the crime. To find out more about the rally or other LHHC events, e-mail olga@LHHC.org or call 724-238-9030. Still trying to catch up, and here’s one exciting reason I’m behind — my new book on the Ship Hotel is out and I’ve arranged some signings. 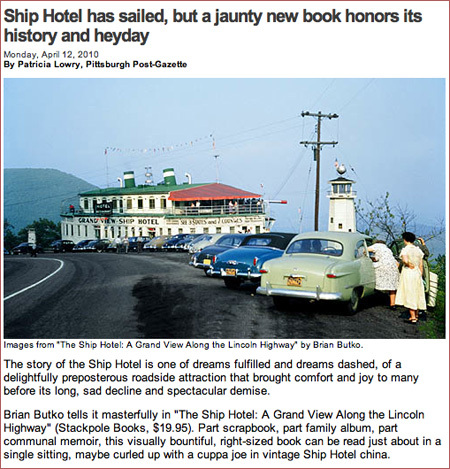 The Pittsburgh Post-Gazette just published a very nice feature review about the book and of the Ship itself. My 10-day trip south was fun but left no time for blog updates. 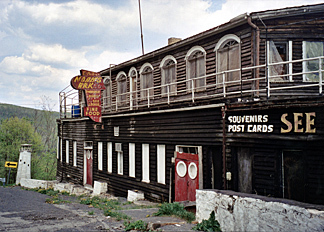 Lots to catch up on including the scheduling of three signings of my new book, The Ship Hotel: A Grand View along the Lincoln Highway. 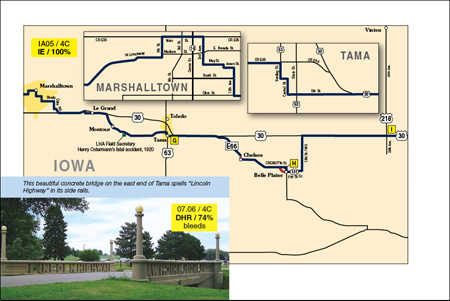 The non-profit Lincoln Highway Heritage Corridor is coordinating the two on Saturday and will have books available for purchase with cash or check. 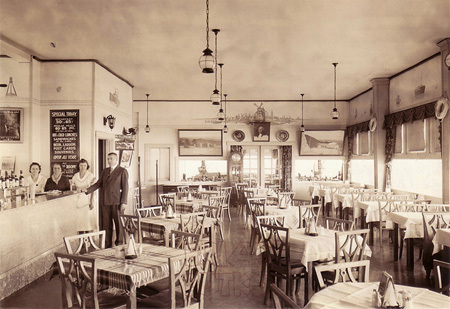 Coffee mugs and t-shirts featuring vintage pictures of the Ship Hotel will also be for sale along with my other books on the Lincoln Highway and roadside attractions. Sales benefit the non-profit LHHC. 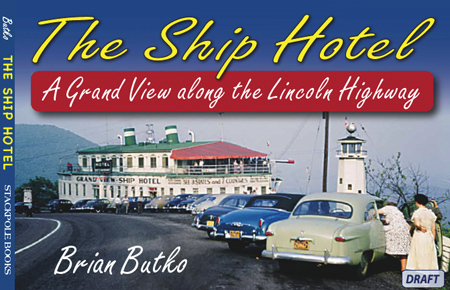 Now that I’ve shifted to working day and night on my book for 2010 — The Ship Hotel: A Grand View along the Lincoln Highway — I’ve dug out copies of the blueprints. Most fascinating are drawings of the original building planned in 1928. The Ship would be built around this basic structure a few years later. Here’s a look at a side elevation of the original stand with some castle ornamentation. You can see how it hung onto the mountainside! I’ve seen lots of photos but, oddly, NEVER one during construction of either the original hotel or its conversion to the Ship. Anyone have more information or images from its construction?